Editor's Note: Jennifer is teaching a Misdirection in Fiction workshop at Lighthouse North in Louisville on January 26th; for more information, head here. During my son’s first year of life ten years ago, I discovered a new kind of story. I was reading a lot, at all hours, in the nursing chair in his room. I’d nurse him and then he'd fall asleep, leaving me trapped, with only the energy for easy reading and books that weren’t too heavy. I mean the too heavy part literally, because I usually only had one hand free to hold the book and turn pages. 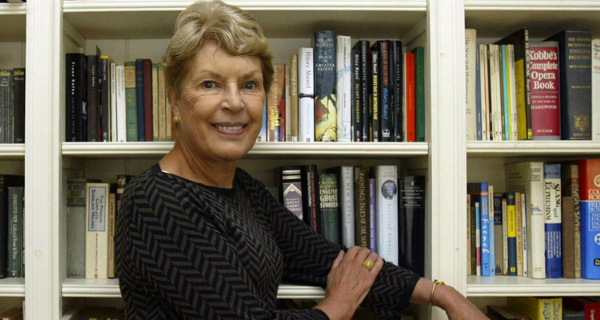 That is how I ended up reading a small used paperback edition of The Copper Peacock, a collection of short psychological thrillers by the British mystery writer Ruth Rendell (pictured). Reading this collection made me realize I enjoy reading stories that merely entertain. By merely entertain I mean this: I was taught to think stories needed to do more. In graduate school, I was introduced to the works of many contemporary short story writers, and I learned to keep an eye on what/who was being published in literary journals and, of course, The New Yorker. But I hadn’t understood there was another kind of story—aside from the few classics I’d been assigned in high school—existing alongside the stories I’d been reading for years. The ones I’d been reading typically ended with subtle moments of realization and slight shifts in character. They were of a type, though I hadn’t realized they were of a type until I read Rendell’s stories, and realized they were of a type, and of a very different type than I was used to. In the world of novels, genre and literary are pretty distinct, with the occasional crossover. You’ll see the word “literary” put in front of “mystery” or “thriller” sometimes, which is meant to signal that the book will have a gripping plot but also be well written, or not too formulaic, or something along those lines. This labeling, or pairing of labels, is odd in that it suggests that one type of writing excludes the other, as in What beautiful prose you’re in for, if you can slog your way through it! Or some version of the opposite, as in If you can stand the clichés, you’re in for a great ride! In the world of short stories, literary has, for some time now, trumped genre. There are lots of “literary journals” out there, but only a handful are genre-focused. And that handful aren’t typically listed among the literary ones. There’s a divide. "As late as about 1950, if you referred to 'short fiction,' you might have been talking about any one of the following kinds of stories: the ghost story; the horror story; the detective story; the story of suspense, terror, fantasy, science fiction, or the macabre; the sea, adventure, spy, war, or historical story; the romance story. All these genres and others have rich traditions in America, reaching straight back to Poe and Hawthorne, our first great practitioners of the form. A glance at any dusty paperback anthology of classic tales turns up important genre work by Balzac, Wharton, Conrad, Graves, Maugham, Faulkner, Twain, Cheever, Coppard. Heavyweights all, some considered among the giants of modernism, the very source of the moment-of-truth story that, like Homo sapiens, appeared relatively late on the scene but has worked very quickly to wipe out all its rivals. One of the pioneers of the modern 'psychological' short story as we now generally understand it, Henry James (famously derided by critic Maxwell Geismar as merely 'a major entertainer'), wrote so many out-and-out ghost stories that they fill an entire book." According to Chabon, the shift from variety to an overabundance of “the contemporary, quotidian, plotless, moment-of-truth revelatory story” is the result of a shift in how we think about entertainment. There’s now a negative connotation attached to the word, he argues, as in Entertain me, while I sit back and eat candy and popcorn! Genre writers entertain, but literary writers expect a higher level of engagement from their readers. Personally, I like both types of stories. I like the revelatory ones that move me deeply, and I like the ones that simply, merely entertain. The stories in The Copper Peacock—and also the stories in The Fallen Curtain, another Rendell collection I went on to read—did not ask much of me, nor did they change how I view the world, but they kept me company during a time when I needed company, sometimes in the middle of the afternoon, sometimes at two a.m. They were—are, I should—short, twisty and fun. They are little treats, like a cookie with coffee, to sneak throughout the day when you need a break. Though sometimes they are dark, which I suppose makes them not very cookie-like. Or maybe they are like ginger cookies, with a little snap beneath the sweet. Last night I reread the title story of The Fallen Curtain, which is about a boy who was kidnapped for a few hours at the age of six and has no recall of what happened to him during those hours until many years later, when he finds himself reenacting what happened to him. It did to me what Rendell stories typically do: they catch you up in the question What happened? or What will happen next? and then they let you go.